Where can you get a bus from malaga airport? 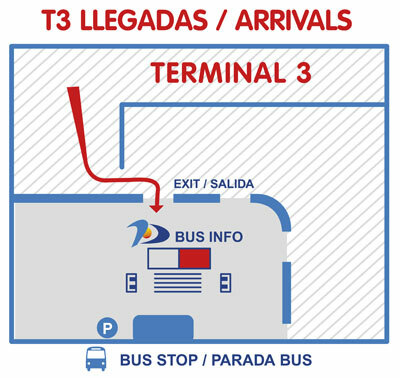 Malaga airport has a bus stop located opposite the terminal T3 or arrivals and departures terminal. Usually most buses run every 30 minutes and from this stop will depart most public transport. with stops in a large list of hotels, total journey time 30 minutes. stoping at hotels, complete route in 50 minutes. you can check out the hotels along the routes of Torremolinos and Benalmadena. total journey time 1 hour 15 minutes. total journey time 1 hour 55 minutes. *Timetable: 6:15 am – 8 am – 10:15 am – 12 pm – 1:45 pm – 3:30 pm – 5:15 pm – 7:30 pm – 9:15 pm –11 pm. You have a most frequency during the summer season (bus every hour). Our transfer company in Malaga offers excellent shuttle service in minivan, minibus (12 and 19 seats) and bus prepared for up to 54 people. Of course, as with our private taxi, the driver will be waiting at the airport to take your family and / or friends to the place you indicate, not only in the province of Malaga, but to any destination in Andalusia. The most popular destinations are: Marbella, Mijas, Torremolinos, Buses to Nerja, Cádiz, Estepona, buses to Sierra Nevada, Fuengirola, Buses to Gibraltar, Benalmadena, etc. For this service, you only need to proceed to the top of any of our pages and choose the field from Malaga airport and then the destination where you need to go, your dates and click the button. Malaga bus station connects with many municipalities and areas of Malaga; to get there you have to take a bus from the airport to the bus station in Malaga city; a journey that won´t take longer than 20 minutes. There you will have many connections to travel to other municipalities, provinces of Andalusia and Spain, even other countries. 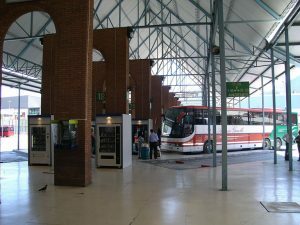 Bus to Malaga: Portillo facilitates arrival at various points in Malaga city and the city centre (Line 19); public transport towards Malaga departs at the airport bus stop. It’s one of those buses that part with a few people and get full along the various stops. The first bus starts out from 7 am and the last one leaves at 00:00 pm.